DESCRIPTION: This book is well written and illustrated, benefiting from the high production standard achieved by the publisher, and a very welcome coverage of the Linux operating system and associated topics. 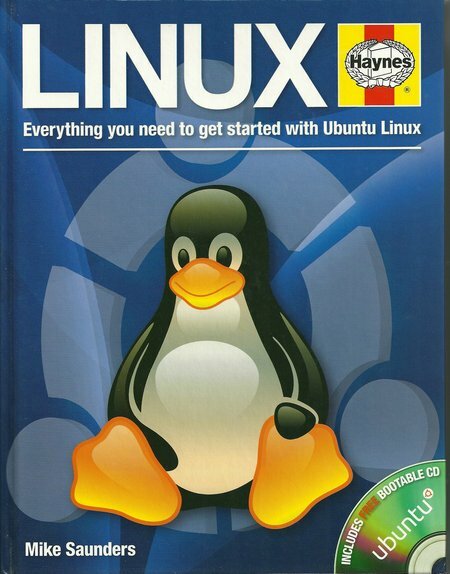 The book claims to offer everything necessary to getting started with Ubuntu Linux and this is a reasonable claim. Before looking at the topic in more detail, that book includes a CD containing Ubuntu 10.4 which can be loaded into a personal computer and used either as the only operating system, or used alongside another operating system, such as Microsoft Windows. It requires no special technical skill to take a PC, add the Ubuntu OS and start using it with the aid of this book. This is all excellent and there can be no serious criticism of the book or the CD. However, in computing and software, there are many strong opinions, perceptions and understanding of history. For a new computer user or for someone who just bought a laptop to send emails, write letters and surf the Internet, there is no reason why any of this technical perception and debate is relevant. The author started computing at the age of eight in 1988, working with Sinclair ZX, which by current PC standards was a very primitive machine. The Internet was already well established, the UNIX Operating System was in widespread use, replacing proprietary operating systems from companies like IBM, HP, DEC, and Data General, and the Open Software fraternity was already established. Computing was still costly and largely confined to commercial and government entities, with 8-bit machines like the ZX starting to revolutionize computing, taking it to a mass audience and into the school and the home. The early Microsoft PC operating systems were starting to be used and reintroducing proprietary software. The foundation of Linux had already been laid. Linux was part of a movement that believed in free speech and saw free software as an essential part of that freedom. The movement had several camps and still does. Some members believe that all software should be completely free to anyone for any use and that this free access should include source code. Being able to acquire source code means that the software can be easily modified to suit the specific requirements of the user and that any code that might produce vulnerabilities could be removed. However, reworking source code requires a good technical ability and is not something that everyone can safely do, or would wish to. Other parts of the fraternity believe that all software should be available for personal use but that software for business use should produce income for the designers and that commercial support services can be offered for a fee. The licensing of Open Source software includes restrictions on how it can be used as part of a commercially provided product. The result is that concepts of technical and non-technical skills can become confused and the definition of a user can vary widely. The author is a technically skilled person and a total novice might be slightly put off by some parts of the book, even though it is very easy to read and provides enough information for those who do not wish to delve too deeply into the subject. This reviewer generally subscribes to the approach taken by the author, but this review should try to take a slightly different view in part. When the book is opened, the CD inside the cover contains Ubuntu 10.4. This is a specific version of Ubuntu and not the latest version. Inevitably, any printed-paper book that includes something like a CD will have been printed in volume as an edition of the work and this process takes usually several months, so that a CD containing software may have been succeeded several times by new versions of the code. When the version is loaded, and the computer is connected to the Internet, it will be automatically updated with updates for that version and if a new version is available, that version may be offered as an option to replace the code already loaded. For the complete novice, perhaps some expansion of the OS wars history may be helpful. Microsoft products have taken a huge share of the computer market, initially because they were cheap relative to some other proprietary software. The approach to building proprietary product can often mean that it fails to achieve a high performance and is frequently a compromise that contains many defects. When LINUX was first produced, the idea was to allow the user to decide when to update it and which free software should be integrated with the Linux kernel. That was great for technically aware users but it was best described as user-hostile for anyone else. It also became a snobbish environment where many of the early users were very happy to see Linux as an elite operating system that required high levels of skill. That meant that Linux failed to take the market share that it deserved. Some companies saw an opportunity and, in the early 1990s, companies like Red Hat sold distributions of Linux that packaged other software with the Linux system and required less skill to use. The package was boxed like any commercial package of the time and included pre-recorded media and a paper manual. That was important in the early 1990s when most users connected to the Internet by slow speed modems and anything larger than a few MB took an evening to download from the Internet. As the number of distributions increased, Linux started to become easy to install and use without requiring much technical skill. Ubuntu is a distribution based on the Debian flavour of Linux and it is a very good product. It can be downloaded and comes with a very extensive selection of applications software without any charge. The user decides which version to use and when to replace with a later version. The user is also able to download beta copies, although this is not advisable for the novice because the beta version of any software is still experimental, providing experience to correct an update the general release version later. If it is to be added to a computer that currently runs Microsoft Win7 it is available with a loader that automatically divides the computer hard drive disk and loads the complete Ubuntu into the newly created compartment. This process is very simple and the default installation requires virtually no skill other than a knowledge of basic PC use. Once loaded, Ubuntu and Win 7 are both available on start up, selection being just highlight and return key choice. The only functionality that Ubuntu/Open Software does not yet have is a good Desk Top Publisher, although the office software includes a word processor that does as much as most users need unless setting out a book or complex advertisements, but everything else that an average user might want is part of the Ubuntu distribution and once the user has become familiar with Ubuntu there is a vast library of applications software that can be downloaded to extend the computer’s ability. Basically, Ubuntu runs better and faster than Microsoft product, can be downloaded from the Internet without charge and provides access to free software that would cost many thousands of pounds if the user needed to purchase proprietary product. The huge network of volunteers working on developing and maintaining free software provides a significantly better updating of product than Microsoft users enjoy and there is no need to pay any money for costly software updates as is required by proprietary product. Unlike Microsoft and MAC software, Ubuntu will run on virtually any type of computer, large or small and will work on equipment that traditionally has been thrown away by Microsoft and MAC users. Once you have used Ubuntu it is very difficult to understand why anyone would want to buy proprietary products, it really is that good. The author has made the case for learning to program computers and certainly programming is something that can be learned relatively easily and once learned allows the user to do so much more with a computer, but the great feature of Ubuntu Linux is that most users will be able to do everything they ever wanted, without writing a line of code. This book, a computer and a copy of Ubuntu will open a new world without requiring any deep technical knowledge. In several respects it will require less time and energy than computers running Microsoft or Mac operating systems. All of that and its free of charge! !